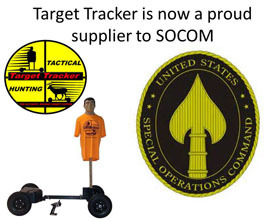 Mobile target practice devices for hunters, law enforcement, and competitive shooters. Self Healing Foam Targets- Blood Red! Printable One page Specification Sheet. Click here to schedule your desired training time and date. Target Tracker prides ourselves in customer service and our dealers share the same values. 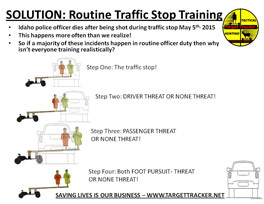 A huge market for the Target Tracker is Law Enforcement, S.W.A.T. and Military training as well as Conservation officer application to use in conjunction with life like deer decoys to catch poachers. With this being stated we highly recommend you contact your local police departments, Conservation Officers and Military personnel to email them the template for there applications. This is a non-intrusive way to show them the product to obtain their orders. To register as a dealer, Contact Wayne McGregor at waynem@targettracker.net or call (248)770-9678, Monday – Friday, 9am – 5pm Eastern Standard Time Zone. 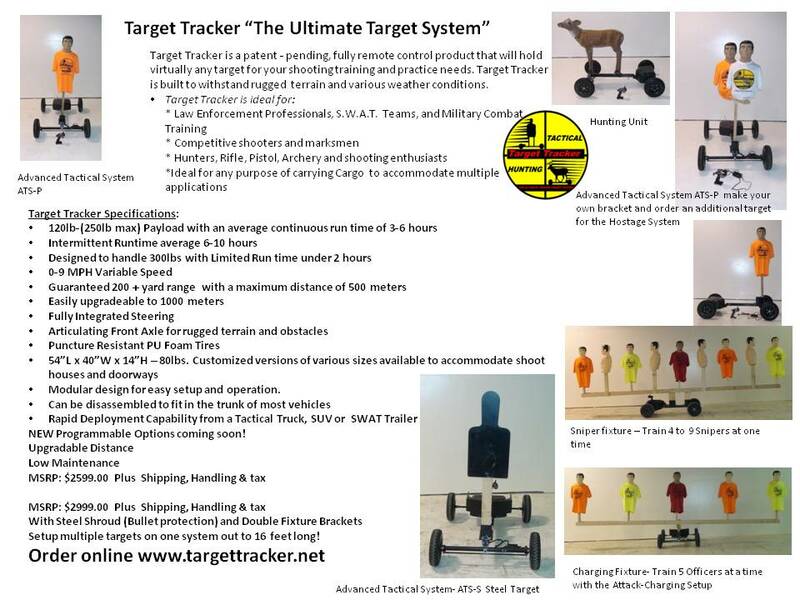 Also when you sign up as a dealer, we email templates to you so you can send your customers and email to let them know YOU ARE A TARGET TRACKER DEALER and to order yours now.